Should Your Blog be on Your Website or on a Separate Domain? I’m often asked about where a blog should be housed – on a business’ website or on a separate domain. There’s no “right” answer, but there are definite things to consider. If your blog is housed on a separate domain, though, all SEO goodness of a blog is not lost for you. You just need to make sure your strategy fits your set up. Inbound links to your website are GREAT for SEO, particularly if they’re from a related site. So when you’re adding links to your site within your blog copy, you’re actually setting an inbound linking strategy for your site. If you keep this in mind as you’re writing your posts and selecting your link’s anchor text, you’re golden. You’ll also want to keep this in mind as you’re choosing the post topics for your blog; there’s less room for “fluff”, and you’ll want to keep your topics closely related to the subject of your website to the spyders see the links to your website as valuable and relative. 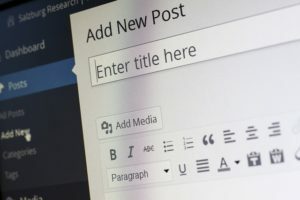 What blogging technique have you tried? What have been your successes? What things did you find that you needed to change?